Dr. Valery Levitas (back row, third from left) and fellow researcher Esfan Esfahini (back row, fourth from left) are shown as part of a Levitas research group photo. 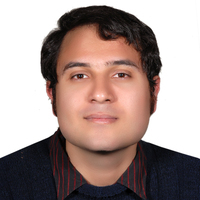 A research group consisting of the Department of Aerospace Engineering’s Valery I. Levitas, Anson Marston Distinguished Professor in Engineering and Vance Coffman Faculty Chair Professor of Aerospace Engineering; Aerospace Engineering Ph.D. student S. Ehsan Esfahani; and former ISU Materials Science and Engineering Ph.D. student (currently a post-doctoral researcher at the University of Michigan) Iman Ghamarian have published work in Physical Review Letters, a highly ranked physics journal. In the paper, “Scale-Free Modeling of Coupled Evolution of Discrete Dislocation Bands and Multivariant Martensitic Microstructure,” (Phys. Rev. Lett. 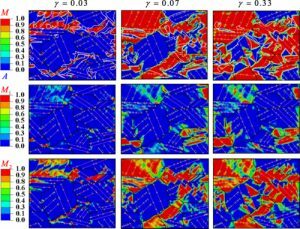 2018, Vol 121, 205701), these researchers developed a new theory and computational approach for finite element modeling of interaction between discrete microstructure that appears during phase transformation and localized shear bands. In contrast to previous phase field models, which are limited to nanoscale specimens, this model allows for treating the nucleation and evolution of martensite at evolving dislocation pileups, twin tips, shear bands and cracks in a sample of an arbitrary size. 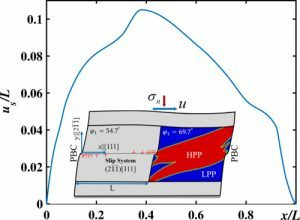 The model is applied for finite element simulations of plastic strain-induced phase transformations in a polycrystalline sample under compression and shear. 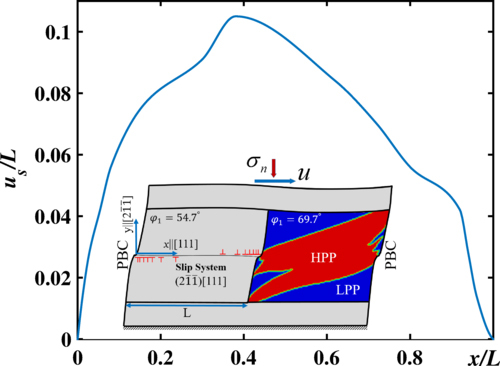 The solution explains the one to two orders of magnitude reduction in phase transformation pressure by plastic shear, the existence of incompletely transformed stationary state, and optimal shear strain for the strain-induced synthesis of high pressure phases. 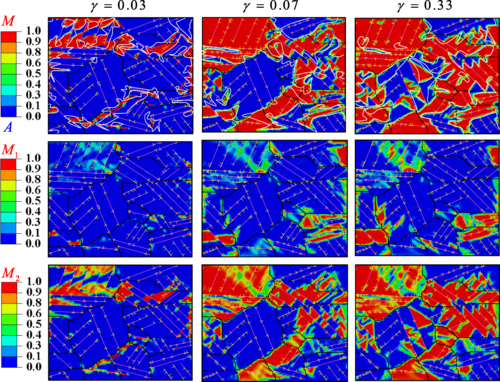 The developed approach opens the door for quantitative modeling of plastic strain-induced phase transformations from nanoscale sample in material processing to kilometer size sample in geophysics. Images from the research are shown below. An abstract of the paper can be found here.